Hello... 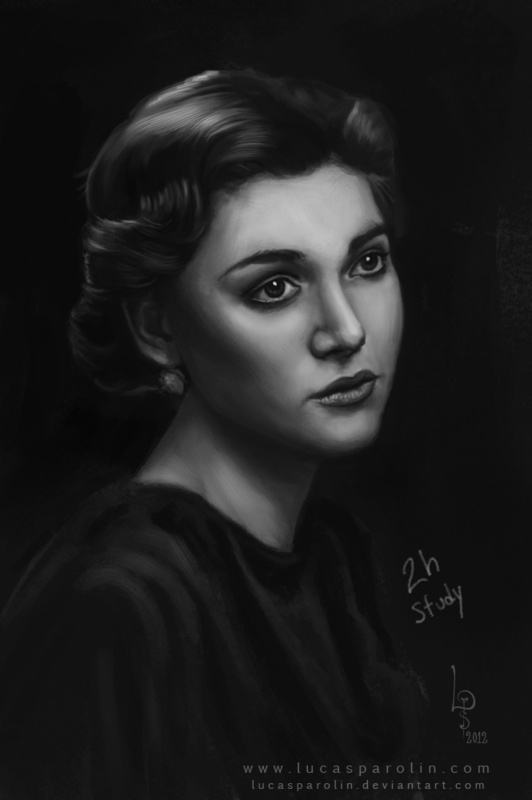 I did a 2h portrait study today, trying to improve the proportions of the face, also the anatomy features. It's a digital painting done in photoshop. I also did only as a value painting, cause I feel my values need improvement! Specially the lighted part! The original pic is from SERGUEI PREOBRAZHENSKI [ORIGINAL PHOTO LINK] Any comments or feedback on that will be great!